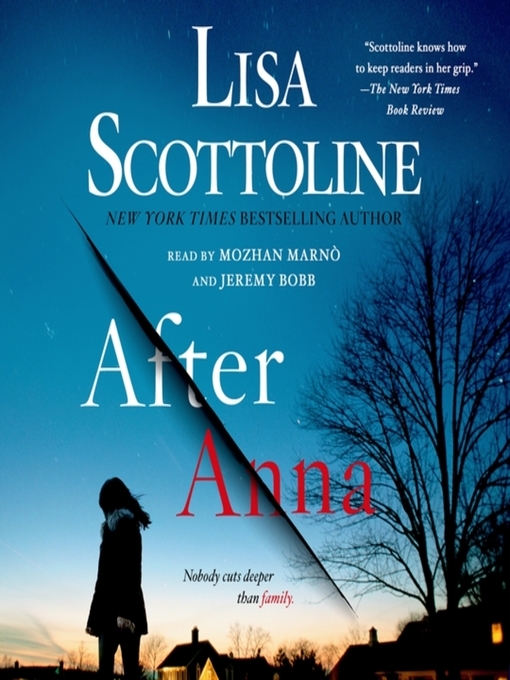 From the New York Times bestselling author Lisa Scottoline comes a fast-paced, thrilling new audiobook. Riveting and disquieting, After Anna is a groundbreaking domestic thriller, as well as an audiobook of emotional justice and legal intrigue. And New York Times bestselling author Lisa Scottoline will keep listeners hooked until the final shocking seconds.